Home > Services > Articles & White Papers > Brand damage: Be careful, it can come from the most unexpected places. Brand damage: Be careful, it can come from the most unexpected places. To the question, “what is branding?” there is a frequent response, “it’s everything that you do as a brand.” So true. And, a corollary that could be added is, “whether or not it has anything to do with your product or service.” Brands really are holistic creatures. CEOs and board chairs know this, or at least they should. Two of them have recently learned that lesson the hard way. 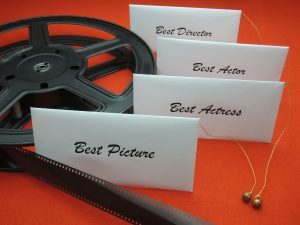 Mr. Cullinan is the U.S. board chairman of PwC, formerly known as PricewaterhouseCoopers, the accounting firm that tallies the ballots for the Academy Awards and keeps the winners secret until the moment they are announced on stage. (By the way, PwC should be nominated for Worst Truncation of a Perfectly Good Brand Name, but I digress.) Mr. Cullinan is also the person who handed the wrong envelope to Warren Beatty and Faye Dunaway, who then mistakenly declared “La La Land” the winner of the Best Picture Award. Handing the correct envelope to a presenter would seem like a pretty simple task, certainly easier than actual corporate accounting, for instance, and, oh, snap…dude, didn’t you just say, “it’s really symbolic of…how our clients think of us?” Oh, yes, you did. And you were right. Uber CEO Travis Kalanick is dealing with a rash of brand-damaging problems that have little to do with getting from point A to point B. His firm lost 200,000 accounts when they were perceived to be breaking the brief taxi strike at JFK Airport, there have been several accusations of sexual harassment within the Uber management structure, and he was recently videotaped getting nasty with an Uber driver who complained to him (politely) about declining fares and increased restrictions on drivers. For all the hard work and positive experiences that go into building a brand fast (in the case of Uber) or slow (in the case of PwC), seemingly innocuous little actions can cause inordinately damaging results. These events can take place on national television or in the back seat of a car, but if the world learns of them, it will judge the brand on what happened, like it or not.